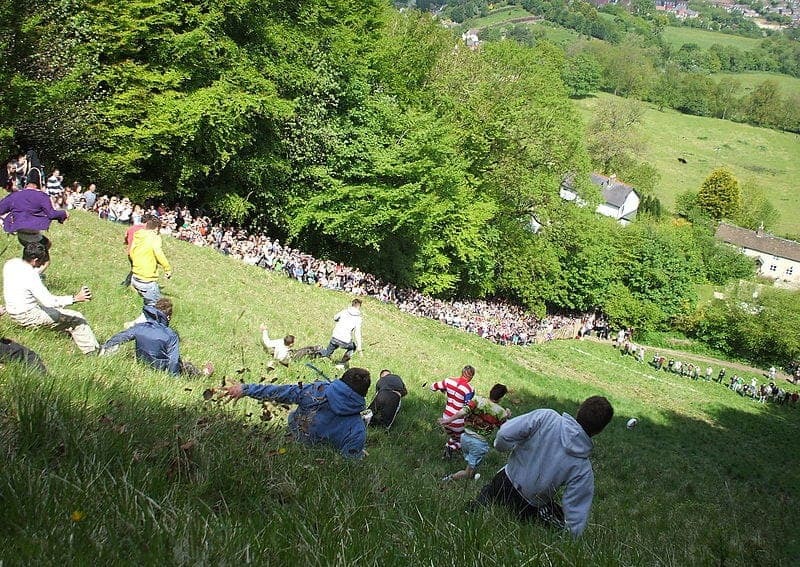 Intrepid competitors attracted from around the world hurtle down the super-steep Cooper's Hill in pursuit of a 7-8 pound Double Gloucester cheese, part running and part tumbling. The winner is the one to catch up with and grab the cheese. The downhill races are complemented by uphill scrambles. Sprained ankles or worse are all but guaranteed to the participants. Convalescence is at the local pub.